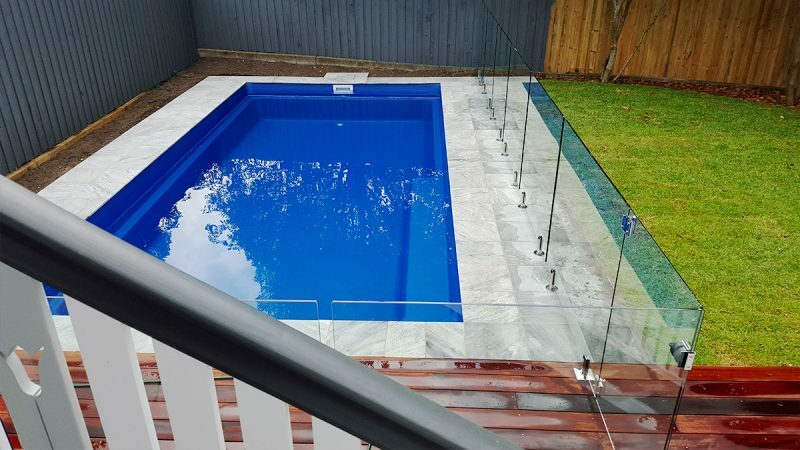 Crystal clear 12 mm glass with square stainless steel spigots running along the pool edge, the same spigots with base plates mounted on the pool decking area. 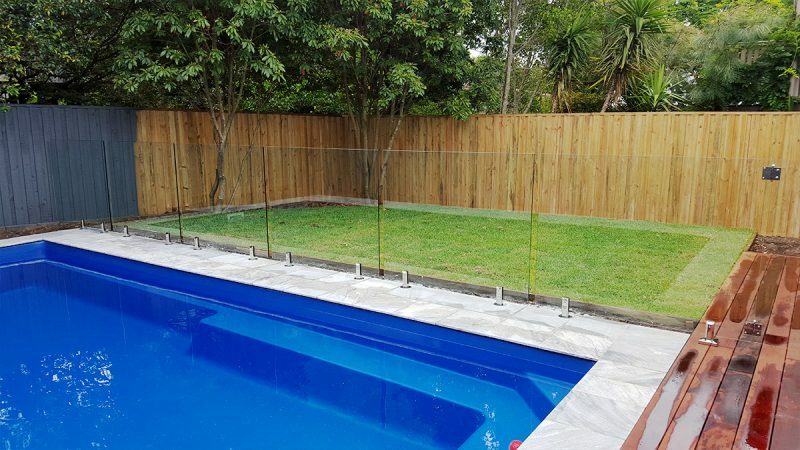 Glass fencing has been constructed to meet the stringent rules and regulations for this brand new pool from L N V Pools. 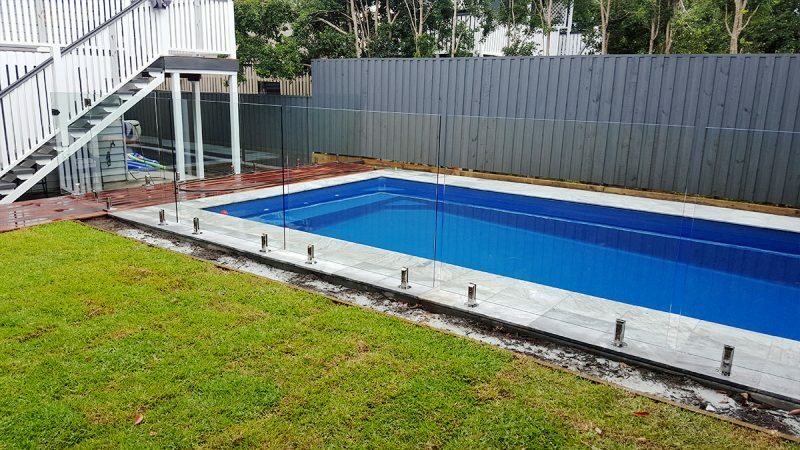 Insular ensured this new pool fence passed the inspection the first time so our clients had no delays getting their brand new pool completed. 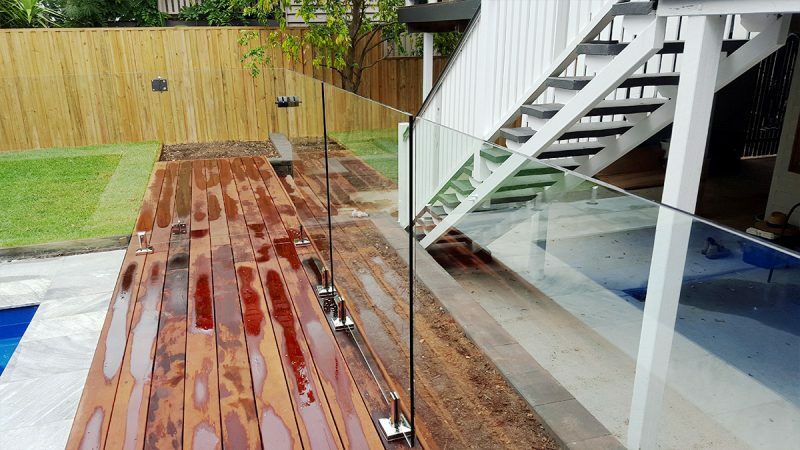 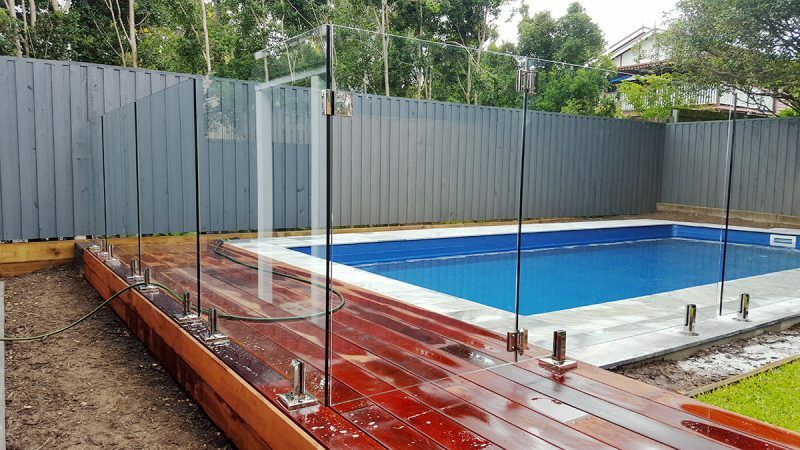 Contact Insular for all of your Frameless glass pool fencing requirements 13004fencing.